Outdoor classrooms allow students to connect with nature and learn about plant cycles and wildlife habitats. Getting outside also grants teachers the opportunity to offer hands-on activities that can only take place in an outdoor setting. Green Apple Day of Service is a perfect time to create an outdoor classroom garden, or to make improvements to one you already have. See our tips on how to create or tend a school garden for a Green Apple project. Clover Hill Elementary School in Midlothian, Virginia, knows the importance of an outdoor space for students to connect with nature. However, their outdoor classroom had become overgrown and rarely used. The school decided to restore the space during their Green Apple Day of Service to make it more accessible to students and teachers—and to the wildlife within the space. 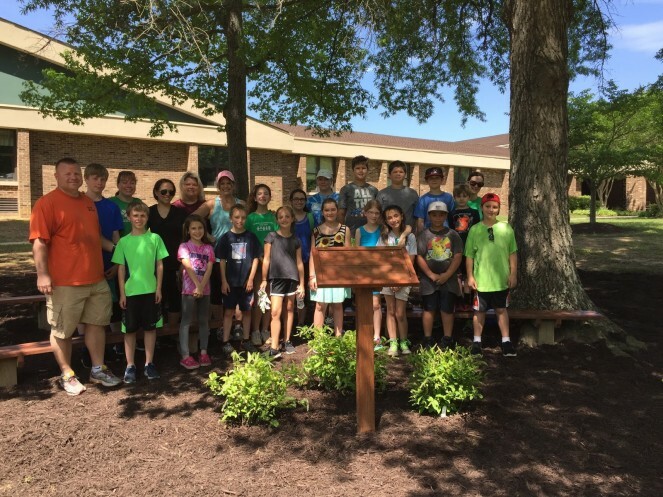 Clover Hill gathered students, parents and staff volunteers to replace overgrown weeds with native plants, mulch the area and build a podium and benches. All this work revived the outdoor classroom, creating a welcoming space for students and teachers to gather for lessons. With the hard work done, the students decided to open up the space to the community, to take what they learned about sustainability and habitat restoration and share it with their whole neighborhood. The new outdoor classroom encourages students and families to spend time connecting with nature. 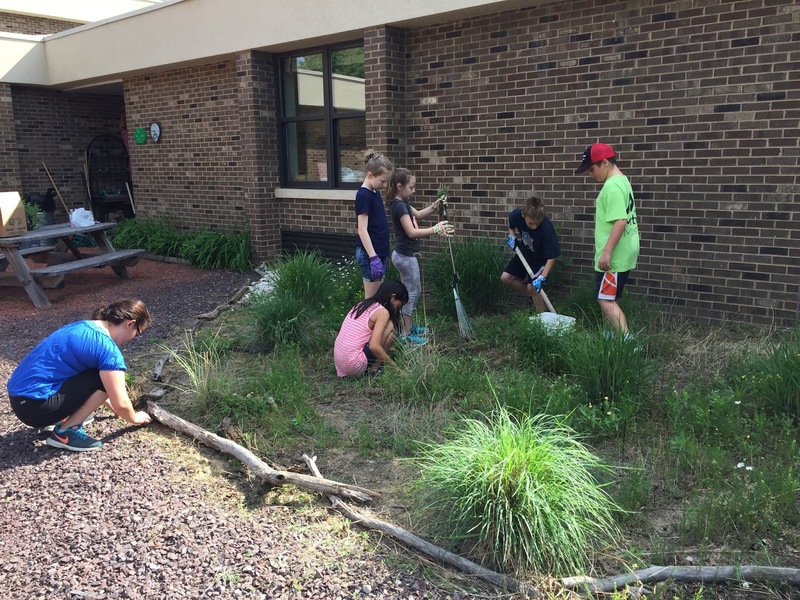 The students’ passion in restoring their outdoor space and their dedication to sharing with the larger community have inspired the parents and project volunteers. A recent NOAA Bay Backpack article also covered the project. Does your school need an outdoor classroom, or do you already have one that needs a makeover? For more help planning your project, check out the Green Apple Day of Service project checklist. Gove Elementary will participate in our 13th annual “Walk to School Day” at Gove Elementary. The event will take place on October 4, from 7:00 to 7:45 a.m. This event will be open to our entire student body, their families and community. The emphasis will be on encouraging families to walk together for wellness, healthy lifestyles and conservation of our environment. The Fuel Up Green Student Clubs, volunteers and participants will be an encouragement as mentors, models and motivators to educate our parents, children and community on the importance of a proper regiment of exercise, practicing safety and making the right environmental and healthy choices. Students will also be encouraged to walk with their parents and discuss community conservation strategies to celebrate “Green Apple Service Day”. The staff will also encourage their classes to explore the gardens on campus and find ways to beautify our areas of concern. We looking to add spring color to our school garden and provide early spring flowers for our pollinators by planting Tulips. We will also work on fencing our newest raised bed garden addition.